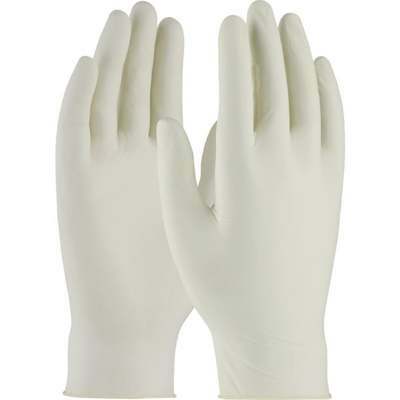 Lightly powdered industrial grade disposable latex gloves. Loose fit around wrist for comfort. Made from component materials that comply with Federal Regulations for Food Contact: 21CFR, 170-199. Applications: Plumbing, Assembly, Manufacturing, Sanitation, General Maintenance. Ambidextrous - fits either hand. White. 100 hand dispenser box.